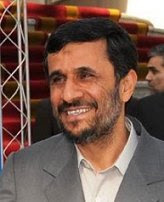 The Daily Telegraph said last week that Mahmoud Ahmadinejad has Jewish roots. The Guardian says today that he has no Jewish roots. Moreover, Mahmoud Ahmadinejad's mother is a Seyyede. This is a title given to women whose family are believed to be direct bloodline descendants of Prophet Muhammad.